Uncategorized | INTER CLUB PAVIA "C'E' SOLO L'INTER"
Andrea Ranocchia has taken to social media to document his preparations ahead of Inter’s match this weekend against Juventus. “Training today,” the Italian central defender, who has made seven appearances this season, posted as a caption to him in training ahead of the clash with the Bianconeri. The post Ranocchia Preparing For Inter-Juventus appeared first on Sempreinter. Marcelo Brozovic has taken to social media to celebrate his return to full training after a few weeks out due to injury. Having picked up an injury against Atalanta, the Croatian had been following a personalised training plan but was back in full training on Wednesday as Inter’s preparations for their match with Juventus this weekend continued. The post Inter Midfielder Brozovic Takes To Social Media To Document Return To Training appeared first on Sempreinter. Inter legend Alessandro Altobelli has taken to social media to thank fans after he made the 12 man shortlist for this year’s Inter hall of fame. “The hall of fame voting has closed. For the attacking category: Alessandro Altobelli, Giuseppe Meazza, Christian Vieri. Who will be the winner? Thanks to all the fans who have sent me to the final for the second consecutive year,” he posted to Twitter. Per la categoria attaccanti: Alessandro Altobelli, Giuseppe Meazza, Christian Vieri.chi sarà il vincitore? The post Altobelli: “Thanks Inter Fans For Voting For Me In The Hall Of Fame Voting” appeared first on Sempreinter. Lautaro Martinez has taken to social media to document his preparations for Inter’s match this weekend against Juventus at San Siro. “Training in the rain preparing for Saturday’s game,” the Argentine striker posted to his official Instagram profile as a caption of him in training. The post Lautaro Martinez Hard At Work Ahead Of Inter-Juventus appeared first on Sempreinter. Sky Sport pundit Lorenzo Minotti has shared his opinion on reports suggesting Inter and Manchester United could possibly exchange Mauro Icardi and Romelu Lukaku in the upcoming Summer transfer window. “From Inter’s point of view of view it all depends on who will be in charge on the bench next year,” he bega. Lukaku for Icardi is just one of a number of swaps to have been rumoured with Paris Saint Germain’s Edinson Cavani, Juventus pair Paulo Dybala and Gonzalo Higuain and Napoli’s Lorenzo Insigne all also mentioned in recent media reports. The 25-year-old Belgian forward has scored 15 goals in 44 appearances for the Red Devils this season. He joined the Old Trafford club in a deal worth around €80 million in the Summer of 2017 and has a contract with the club until the end of the 2021/22 season. The post Minotti: “Icardi & Lukaku Swap? 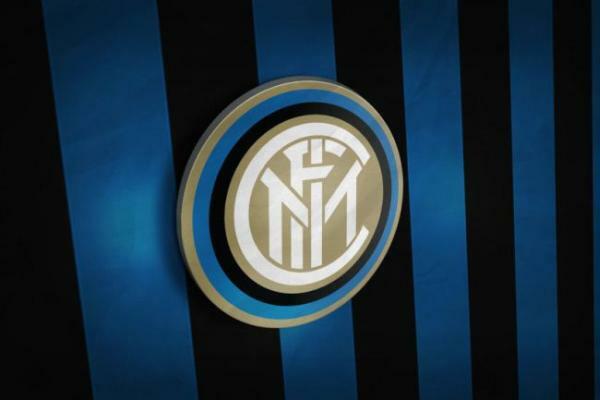 Favourable Opportunity For Inter & Manchester United” appeared first on Sempreinter. Three Inter fans have so far been identified by authorities as having taken part in a fascist demonstration in the Milan city centre on Wednesday evening. Prior to Milan and Lazio’s Coppa Italia quarter final clash at San Siro, images spread like wildfire on social media of a group of fans holding pro-Benito Mussolini banners in the Milan city centre. The banner, which read, ‘Honour to Benito Mussolini,’ has been attached to Lazio ultra group the ‘Irreducibli’ – who Inter’s ultras have a link with – due to the Irr ‘tag’ on the end of the banner. Around 70 fans were involved as fascist chants were also sung and 22 fans (including the aforementioned trio of Inter fans) have been identified thus far with investigations on going in a bid to identify others involved. The fascism continued and also turned into racism as the Lazio ultras arrived at San Siro with Milan midfielder Tiemoue Bakayoko the subject of the abuse. The post Three Inter Fans Identified In Lazio Ultra-Lead Fascist Demonstration appeared first on Sempreinter. If Mauro Icardi is to leave Inter in the upcoming Summer transfer window it will only be in a swap deal according to Sky Sport journalist Gianluca Di Marzio. “Because of the events that have happened this year between the Nerazzurri and the former captain, the hypotheses regarding his future are open,” he said. “All the clubs know that Maurito is easier to reach than in the past and I believe that a possible transfer away from Inter can only be done through a swap deal. “It is hard for any club to come up with the money [to meet his €110 million release clause]. It is complicated for someone like Napoli due to the salary the Argentine receives. The post Di Marzio: “Icardi Will Only Leave Inter In A Swap Deal” appeared first on Sempreinter. Sky Sport Italia journalist and revered transfer market expert Gianluca Di Marzio has shared his views on the managerial situation at Inter. For a number of months now, current Nerazzurri manager Luciano Spalletti’s future at the club has been in doubt with several reports suggesting Inter are ready to sack him in favour of bringing in a top name coach. Among the names linked is Antonio Conte, the former Italian national team manager, who was most recently in charge at Chelsea and has been out of work since last Summer. “Inter have not decided who will be the coach next season,” Di Marzio began as he spoke on Sky Sport. It is not just Di Marzio holds this view with there being multiple reports out there that have also suggested Spalletti’s chances of remaining at the helm are growing increasingly likely. The post Di Marzio: “Spalletti Has A Good Chance Of Staying At Inter” appeared first on Sempreinter. Atletico Madrid are keeping a close eye on Mauro Icardi and could sign him if one of Antoine Griezmann or Diego Costa leaves this Summer according to a report from Gazzetta dello Sport. Whilst Griezmann continues to pledge his allegiance to the Colchoneros despite alleged long-standing interest from Barcelona, it cannot be ruled out that he could leave the Wanda Metropolitano this Summer. As for Costa, cracks are beginning to show in the relationship between the Spaniard and the club which could ultimately lead to them parting ways. The Milan based newspaper however go on to report that Inter’s Argentine talisman is not the only player that Diego Simeone’s side are looking at. In January, prior to the signing of Alvaro Morata, they had looked at Paris Saint Germain’s Edinson Cavani. PSG, as per the report, are keen on signing Icardi which could open up the possibility of Cavani being allowed to leave the Parc Des Princes. The post Atletico Madrid Keeping Tabs On Inter’s Icardi appeared first on Sempreinter.